Looking for best place to Sell your artwork online? 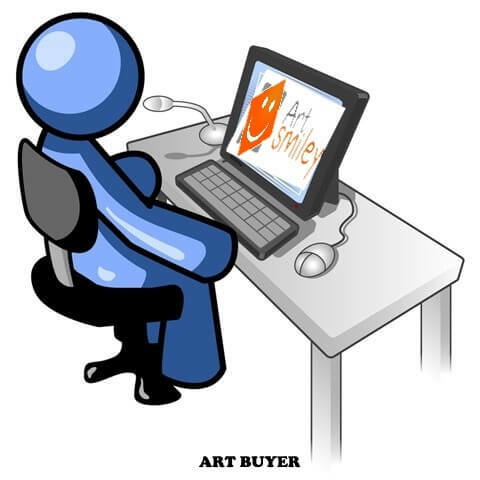 ArtSmiley helps to get more attention, traffic and SALES for your artworks worldwide. “Optimizing for search” just means using the same keywords in your description and titles that art buyers use when searching for artwork online. ArtSmiley will encourage Artists to write full description for each artwork they upload, as well as a bio and Professional details in their profile. Make sure to fill all these with bunch of words. Make your artwork Title and description with full of words and phrases that art buyers might be searching for, You can write a story behind the artwork as well. Description is not just about paintings but also about buying art, similar artists, and so on. 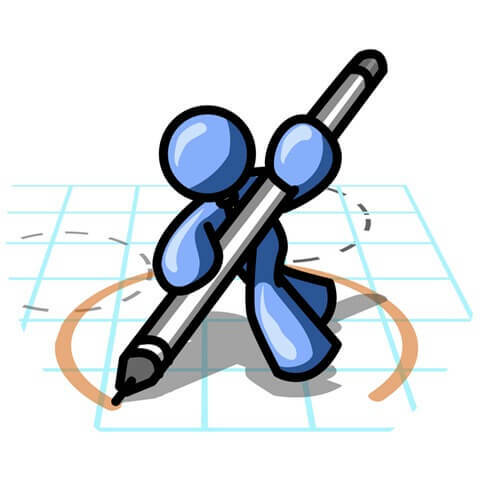 ArtSmiley allows Artists to write a blog , that will appear in the blog section of the website. You can use your art blog to explain about your artwork. People generally like to know the artist behind the art — especially if they enjoy your artwork. Blogging is a fantastic way to not only keep fans up-to-date about your work, but to also let them see the “real” you. The benefits to art blogging just keep getting better the longer you do it. As the months go on, you will gain more readers, more comments and possibly more sales of your own artwork. Latest blogs will show on homepage as well. Artists can enter the information about exhibitions they are participating. ArtSmiley created official pages in most of the Social sites, you can find the links to those in the footer of the website. Like, follow or pin our ArtSmiley page and start sharing the posts in your art community. You can also share whatever the artwork from the website itself using social share icons at the left of each web page. In Social sites, Put up some of your best artwork (properly tagged, of course) and place links to the ArtSmiley website where your art is actually for sale. This increases the traffic and sales for your Artwork. We have no liability to you in relation to your order of the Artwork, except as expressly set out in these terms or as required by applicable law. Any order placed for Artwork will be fulfilled in accordance with the delivery date stated in your order. If ArtSmiley is unable to fulfill delivery of your Artwork, ArtSmiley will notify you and arrange for a refund of any applicable sums. Delivery will be completed once the Artwork is delivered to the address you have provided. All risk in the Artwork will pass to you on completion of delivery. You will own the Artwork when all payments for the Artwork, including delivery charges, have been paid in full. ArtSmiley offers a 14-day money back guarantee on any Artwork (less framing costs, and/or reasonable, shipping and delivery costs) from the date of delivery (“Return Period”), provided that (i) the Artwork is returned undamaged to ArtSmiley in the original packaging and any other materials provided at the time of delivery, and (ii) and provide to us such information supporting your request for cancelation as we may reasonably require. The Return Period shall terminate upon the earlier of (a) expiry of the 14-day period immediately following delivery, (b) your posting of a positive message of feedback in relation to the applicable Artwork on any page of the Services, or (c) indication, whether by means of tick-box or otherwise, that you have approved the applicable delivery of Artwork and/or that you waive your rights to refund. You will be responsible for arranging the return shipping of any Artwork that you wish to return to ArtSmiley. You are responsible for the integrity of any packages sent pursuant to a cancelled order and shall not under any circumstances place or permit to be placed any items in the sent package that were not in the originally-delivered package, and shall not do or permit to be done any act that may be in breach or any applicable laws or regulations. You warrant that you will comply with all local and international shipping and customs regulations and applicable laws. ArtSmiley shall use all reasonable endeavours to return the sums paid for the (less framing costs, and/or reasonable, shipping and delivery costs) within 30 days of notification of receipt from ArtSmiley that the Artwork has been received undamaged in the original packaging together with any other materials supplied. You will be liable for any costs in returning the Artwork, except in the unlikely event that the Artwork is already damaged or defective at the time of delivery. Where the Artwork is damaged or defective at the time of delivery, ArtSmiley shall be liable for the arranging and costs of returning the Artwork to ArtSmiley. An order will be successfully made once payment by you has been received by ArtSmiley. All applicable fees and taxes, relating to the payment shall be borne by you. You may cancel your order at any time before we arrange a courier to deliver the Artwork. Should you cancel the Artwork after a courier has been arranged and before the expiry of Return Period, you will be liable for the costs of the cancellation of the courier, including the return of the Artwork to ArtSmiley. To the fullest extent permitted by law, ArtSmiley makes no representations or warranties to you relating to the Artwork, the Services or otherwise. ArtSmiley will not be liable for any loss (including but not limited to consequential loss) or claim that may occur as a consequence of late, lost or misdirected email or due to the Services (including its content) and/or the Artwork. EART AND TECHNOLOGY FZCO, a company registered in Dubai Silicon Oasis, Dubai, United Arab Emirates and its affiliates (“ArtSmiley”, “we,” “us,” “our”) operates the website www.artsmiley.com (“Website”), mobile applications and any other linked and related pages, content, features, products, dashboard, software, video player and tools offered by ArtSmiley (the “Services”). We have no liability to you in relation to the order for your Artwork, except as expressly set out in these terms or as required by applicable law. ArtSmiley reserves the right, in its sole discretion, to modify these terms at any time without notice. You shall be responsible for reviewing and becoming familiar with any such modifications. Use of the Services by you following such modification constitutes your acceptance of the terms and conditions of the Agreement as modified. This Agreement is void where prohibited by law, and the right to access and use the Services is revoked in such jurisdictions. By accessing the Services, you represent and warrant to ArtSmiley that: (i) you are an individual (i.e., not a corporation) at least 18 years old; (ii) you are of legal age to form a binding contract or have your parent’s permission to do so; (ii) all registration information you submit is accurate and truthful and you will maintain the accuracy of such information; (iv) you are legally permitted to use and access the Services and take full responsibility for your access, selection and use of the Services. You are responsible for all of your activity in connection with the Services. You shall be responsible for (i) obtaining and maintaining any equipment or ancillary services needed to connect to, access or otherwise use the Services, including, without limitation, modems, hardware, software, and long distance or local telephone service; (ii) ensuring that such equipment or ancillary services are compatible with the Services; (iii) taking all precautions necessary and/or reasonable to protect yourself, your computer systems and other property from viruses, worms, Trojan horses, and other harmful content and code. You are solely responsible for withholding, filing, and reporting all taxes duties and other governmental assessments associated with your activity in connection with the use of the Services. You may be required to register and select a password and username (“ArtSmiley User ID”) to use certain services. You may not (i) select or use as a ArtSmiley User ID a name of another person with the intent to impersonate that person; or (ii) use as a ArtSmiley User ID a name subject to any rights of a person other than you without appropriate authorization. You shall provide ArtSmiley with accurate, complete, and updated registration information. You shall be responsible for maintaining the confidentiality of your password. Any failure to comply with this provision may result in immediate termination of your account. ArtSmiley reserves the right to refuse registration of, or cancel a ArtSmiley User ID in its discretion. If you are accessing the Services through a third party site or service (such as “Facebook Connect”), ArtSmiley may require that your ArtSmiley User ID be the same as your user name for such third party site or service. In the course of using the Services, you and other users may provide information which may be used by ArtSmiley and which may be visible to certain other users. By posting information, images, text, blogs, or other content on the Services (collectively, “User Content”) or otherwise providing User Content to ArtSmiley or in connection with the Services, you hereby grant to (i) ArtSmiley a non-exclusive, worldwide, royalty free, perpetual, irrevocable, sublicenseable, transferable right to fully exploit (including without limitation, reformatting, cropping, resizing, displaying, modifying, creating derivative works of, and translating) (including where applicable the right to reprint and crate multiple copies) such User Content (including all related intellectual property rights) in connection with ArtSmiley’s (and its successors’, licensees’ and assigns’) business, including without limitation for promoting and redistributing part or all of the Services (or any derivative works thereof) in any media formats and through any media channels, and to allow others to do so; and (ii) each user of the Services a non-exclusive license to access your User Content through the Services, and to use, modify, reproduce, distribute, prepare derivative works of, display, and perform such User Content as permitted through the functionality of the Services and under this Agreement. The foregoing license grant to ArtSmiley does not affect your ownership of or right to grant additional non-exclusive licensees to the material in your User Content, unless otherwise agreed in writing. You, not ArtSmiley, remain solely responsible for all User Content that you upload, post, email, transmit, or otherwise disseminate including, or in connection with the Services, and you warrant that you possess all rights necessary to provide such content to ArtSmiley and to grant ArtSmiley the rights to use such information in connection with the Services and as otherwise provided herein and that use of by ArtSmiley of such content will not infringe any third-party rights or applicable laws. You acknowledge and agree that all information publicly posted or privately transmitted through the Services is the sole responsibility of the person from which such content originated and that ArtSmiley will not be liable for any errors or omissions in any such content. You understand that ArtSmiley cannot guarantee the identity of any other users with whom you may interact in the course of using the Services. Additionally, ArtSmiley cannot guarantee the authenticity of any data which users may provide about themselves. You acknowledge that all User Content accessed by you using the Services is at your own risk and you will be solely responsible for any damage or loss to any party resulting therefrom. You understand and agree that ArtSmiley uses commercially reasonable efforts to display the colors of original works of art accurately via the Services. However, because individual computer monitors may display colors differently, ArtSmiley is not responsible for the color accuracy of any works displayed on the Services, and disclaims all liability in this regard. You are solely responsible for the content that you post on or through the Services, any material or information that you transmit to other users and for any interactions with other users. Send or post content of any kind or nature that is unlawful, harassing, libelous, defamatory, abusive, harassing, threatening, harmful, vulgar, obscene, profane (unless such use is warranted within the topic area of a particular message board, as determined by ArtSmiley in its sole discretion), racially offensive, insulting to any religion or culture, inaccurate, or contrary to the laws, in any applicable jurisdiction, or otherwise objectionable material or that encourages conduct that could constitute a criminal offence, or infringement of any rights to privacy, give rise to civil liability or otherwise violate any applicable local, state, federal or international law or regulation. You agree not to use the Services to distribute or send any illegal content of any kind. Posting illegal content or participating in any form of discussion with the intention to commit any illegal activity is strictly prohibited. ArtSmiley has no obligation and assumes no responsibility for monitoring the Services or User Content for inappropriate content or conduct of its users. However, ArtSmiley reserves the right to monitor, block or remove User Content (including disabling access to User Content that you have downloaded through the Services) for any or no reason without notice to you. If ArtSmiley chooses, in its sole discretion, to monitor the Services, ArtSmiley assumes no responsibility for the User Content, no obligation to modify or remove any inappropriate User Content and no responsibility for the conduct of the user submitting any such User Content. ArtSmiley reserves the right to remove any User Content from the Services at any time, for any reason or no reason in its sole discretion. If you link to the Services, ArtSmiley may revoke your right to so link at any time, at ArtSmiley’s sole discretion. ArtSmiley reserves the right to require prior written consent before linking to the Services. All materials displayed or performed on the on the Services, or which may be made available for your download (including, but not limited to text, blogs, graphics, articles, photographs, images, illustrations, video and User Content (also known as the “Content”), are protected by copyright. You shall abide by all copyright notices, trademark rules, information, and restrictions contained in any Content accessed through the Website, and you shall not use, copy reproduce, modify translate, publish, broadcast, transmit, distribute, perform, upload, display, license, sell or otherwise exploit for any purposes whatsoever any Content or other proprietary rights not owned by you, (i) without the express prior written consent of the respective owners, and (ii) in any way that violates any third party right. The Services are protected by copyright, pursuant to U.S. copyright laws, international conventions, and other intellectual property laws applicable in the jurisdiction from which you access the Services at any time. You may not modify, publish, transmit, participate in the transfer or sale of, reproduce (except as expressly provided in this Agreement), create derivative works based on, distribute, perform, display, or in any way exploit, any of the Content, software, materials, or Services in whole or in part. You must report any infringement of your rights to ArtSmiley immediately. The technology and the software underlying our Services is the exclusive property of ArtSmiley and its licensors. Subject to your compliance with this Agreement, ArtSmiley grants you a limited, non-exclusive, non-transferable, non-sublicenseable, revocable license to access and make personal and commercial use of the Services, and any software underlying our Services solely to use the Services, as provided by ArtSmiley in accordance with this Agreement. This license does not include any resale or commercial use of the Services or any Content. You shall not copy, modify, rent, lease, loan, sell, assign, distribute, reverse engineer, grant a security interest in, or otherwise transfer any right to the technology or software underlying our Services. You agree not to use modified versions of any software underlying our Service, including without limitation, for the purpose of obtaining unauthorized access to our sites or applications. You may not use any of our Services for any illegal purpose. All rights in the product names, company names, trade names, logos, service marks, trade dress, slogans, product packaging, and designs of ArtSmiley, its licensors, affiliates, or third-party products or services, whether or not appearing with a trademark symbol, belong exclusively to ArtSmiley or their respective owners, and are protected from reproduction, imitation, dilution, or confusing or misleading uses under national and international trademark and copyright laws. The use or misuse of these trademarks or any materials containing the trademarks, except as permitted herein, is expressly prohibited, and nothing stated or implied on the Services confers on you any license or right under any patent or trademark of ArtSmiley, its licensors, affiliates, or any third party. You warrant, represent and covenant that you will not use the Services or contribute any User Content (including, without limitation, anything in connection with your blog(s)) in a manner that (i) infringes or violates the intellectual property rights or proprietary rights, or rights of publicity or privacy, or other rights of any third party; (ii) violates any law, statute, rule, ordinance or regulation; (iii) violates any other agreement you have with, or any obligations to, any third party; (iv) is harmful, fraudulent, deceptive, threatening, abusive, harassing, tortuous, defamatory, vulgar, obscene, libelous, contrary to the laws of any applicable jurisdiction or any other applicable jurisdiction, or otherwise objectionable; (v) misrepresents the source or identity of any content; (vi) involves commercial activities and/or sales without ArtSmiley’s prior written consent such as contests, sweepstakes, barter, advertising, or pyramid schemes; (vii) uploads, installs, constitutes, or embeds malware, virus, worms, Trojan horses, or other harmful content or code; or (viii) impersonates, or falsely indicates an affiliation with, any person or entity, including, without limitation, any employee or representative of ArtSmiley. should the Artwork be a reproduction of your original work, you will state that it is a reproduction. Artwork will be considered a reproduction where it is a facsimile of an original piece of Artwork, even if the two have material differences. You will notify ArtSmiley, via the Services, as soon as reasonably practicable of any restrictions on your availability to deliver Artwork, including any vacation time that you plan. You are not allowed to make available via the Services: reproductions of any original works of third parties. You will determine the price of your Artwork by providing accurate information regarding the Artwork (including in relation to the size of the Artwork), and establish your listing price within the price band corresponding to your sales level as shown in your account. You warrant that any User Content relating to the Artwork uploaded by you will at all times be true and up-to-date and all specifications relating to Artwork size, size of packaged Artwork, materials, origin, and subject-matter will at all times be accurate. Prior to making any item of Artwork available via the Services, you must advise ArtSmiley whether the applicable item is available for sale, rent and/or for reprint.You will be notified of each sales order via the Services and of any order placed by a customer and any applicable price to be paid to you in return for delivery of the applicable Artwork (and, if applicable, the rental period for the Artwork). Upon such notification, you will make the applicable Artwork available for collection by ArtSmiley and its representatives. ArtSmiley may cancel any order at any time. You must specify exact packaged dimensions and packaged weight when you list your Artwork on the Services, based on which shipping costs are established. You shall at all times supply fully accurate information with regard to origin of shipping location, packaging dimensions and packaged weight. If any such information at the time of delivery is different from the information provided, ArtSmiley shall be entitled to deduct any additional costs from your account. When you receive confirmation of an order you will also receive a courier’s airway bill that must be attached securely in order to correctly effect the dispatch of the Artwork to the customer. You must dispatch your order within 5 days of you receiving notification of the order via the Services. You will be responsible for the appropriate packaging and any documentation (including any applicable certificates of authentication) relating to the Artwork. You are responsible for the integrity of any packages sent pursuant to an order placed via the Services and shall not under any circumstances place or permit to be placed any items that are not strictly required by the terms of the order, and nothing that may be in breach or any applicable laws or regulations. You warrant that you will comply with all local and international shipping and customs regulations and all applicable laws. ArtSmiley shall use its reasonable endeavors to pursue any insurance claim for loss or damage to the Artwork from the time at which the shipping company takes possession of the Artwork and if relevant, until the applicable Artwork has been returned to you. You shall provide all required assistance in the pursuit of any insurance claim. Where the customer chooses to return the Artwork for reasons including because you have sent the wrong Artwork, failed to affix the correct airway bill to packaging, or the Artwork is damaged on delivery due to your act or omission, ArtSmiley will organize the return of the Artwork to you and deduct the resulting shipping cost from any funds in your ArtSmiley account. You shall not be entitled to cancel any sale of Artwork. ArtSmiley will notify you via the Services of any returns within 14 days of delivery of the Artwork to the customer. In the event such notification is made, ArtSmiley shall have no liability to you, including for any payment. Where a customer acquires Artwork, the funds payable to you will be held on standby until the customer agrees to forego the return policy entitlement by entering a review or until the 14-days return policy expires. On the occurrence of either, you can claim your funds through the payout method you chose. You are responsible for all applicable payment transfer fees and taxes relating to the payment of the applicable sum from us to you. All sales or monetary transactions initiated on the Services must be completed via the ArtSmiley Where ArtSmiley believes that a sale or money transaction initiated on the Services has occurred outside of the ArtSmiley platform, ArtSmiley has the right to withhold from your account the applicable sum that would have been payable to ArtSmiley had the sale been through the Services. If ArtSmiley makes any overpayment to you for any reason, you will pay to ArtSmiley such overpaid amounts upon demand from ArtSmiley. In the absence of such payment by you, ArtSmiley will be entitled to deduct any overpaid amounts from future payments due to you. ArtSmiley reserves the right to require payment of fees for certain services on the Services. You shall pay all applicable fees, as described on the Services in connection with such services selected by you. ArtSmiley reserves the right to change its price list and to institute new charges at any time, without notice. Use of the Services by you following such notification constitutes your acceptance of any new or increased charges. To the fullest extent allowed by applicable law, all fees paid hereunder are non-refundable unless otherwise permitted by this Agreement. All fees are stated in US$ and all payments to and from ArtSmiley will be made in United States Dollars (“US$”) or United Arab Emirates Dirhams (“AED”). ArtSmiley may, in its sole discretion, round up or round down amounts that are payable from or to artists and/or gallery owners to the nearest whole functional base unit to the nearest US$ or AED as applicable; for example, ArtSmiley will round up an amount of $101.50 to $102.00, and round down an amount of $101.49 to $101.00. ArtSmiley assumes no responsibility or liability for any currency fluctuation or inaccuracy of currency rates. All prices, commissions, fees and other amounts referred to in these Terms, including any prices, commissions and fees set forth on the Services, are stated in US$ or AED and do not include any sales, use, value added (“VAT”), goods and services (“GST”) or similar taxes or withholding taxes or any customs, duties or tariffs that may be assessed by any governmental tax authority or that are otherwise payable under applicable law with respect to the purchase, sale and licensing transactions contemplated hereunder. Seller must fill out appropriate Tax forms prior to any commissions being paid. For an Artist living within the United States, a W9 Tax Form must be filled out. For an Artist living outside the United States, a W8BEN Tax Form must be filled out. You may request the deletion of your account via the Services. Subject to any pending orders, ArtSmiley shall use its reasonable endeavors to remove your account from the Services within 7 days. TO THE FULLEST EXTENT ALLOWED BY APPLICABLE LAW, IN NO EVENT SHALL ARTSMILEY OR ITS SUPPLIERS, OR THEIR RESPECTIVE OFFICERS, DIRECTORS, EMPLOYEES, OR AGENTS BE LIABLE WITH RESPECT TO THE SERVICES OR THE SUBJECT MATTER OF THIS AGREEMENT UNDER ANY CONTRACT, NEGLIGENCE, TORT, STRICT LIABILITY OR OTHER LEGAL OR EQUITABLE THEORY (I) FOR ANY AMOUNT IN THE AGGREGATE IN EXCESS OF THE GREATER OF THE FEES PAID BY YOU OR TO YOU; (II) FOR ANY INDIRECT, INCIDENTAL, PUNITIVE, OR CONSEQUENTIAL DAMAGES OF ANY KIND WHATSOEVER; (III) FOR DATA LOSS OR COST OF PROCUREMENT OF SUBSTITUTE GOODS OR SERVICES; (IV) THE USE OR INABILITY TO USE THE SERVICES; (V) UNATUTHORIZED ACCESS TO OR ALTERATION OF YOUR TRANSMISSIONS OR DATA BY ANY PARTY; (VI) STATEMENTS OR CONDUCT OF ANY THIRD PARTY ON THE SERVICES; (VII) YOUR USER CONTENT OR (IV) ANY MATTER RELATING TO THE SERVICES. You hereby release ArtSmiley, its officers, employees, agents and successors in rights from claims, demands and damages (actual and consequential) of every kind or nature, known or unknown, suspected or unsuspected, disclosed or undisclosed, arising out of (i) having acquired or not acquired any Content through the Services. ArtSmiley reserves the right to modify, discontinue, terminate or suspend the Services without prior notice. This Agreement shall remain in full force and effect while you use any part of the Services. You may terminate your use of the Services or your membership at any time by following the instructions on the Services. ArtSmiley may terminate or suspend your access to the Services (and/or any feature thereof) or your membership at any time, for any reason, and without warning, which may result in the forfeiture and destruction of all information associated with your membership. Upon termination of your account, your right to access and use the Services and any Content will immediately cease. The failure of either party to exercise in any respect any right provided for herein shall not be deemed a waiver of any further rights hereunder. ArtSmiley shall not be liable for any failure to perform its obligations hereunder where such failure results from any cause beyond ArtSmiley’s reasonable control, including, without limitation, mechanical, electronic or communications failure or degradation (including “line-noise” interference). If any provision of this Agreement is found to be unenforceable or invalid, that provision shall be limited or eliminated to the minimum extent necessary so that this Agreement shall otherwise remain in full force and effect and enforceable. You and ArtSmiley agree that this Agreement (including any terms or policies expressly incorporated herein) is the complete and exclusive statement of the mutual understanding of the parties and supersedes and cancels all previous written and oral agreements, communications and other understandings relating to the subject matter of this Agreement, and that all modifications must be in a writing signed by both parties, except as otherwise provided herein. This Agreement is not assignable, transferable or sublicensable by you except with ArtSmiley’s prior written consent. ArtSmiley may transfer, assign or delegate this Agreement and its rights and obligations without consent. Headings for each section have been included for your convenience, but such headings do not have any legal meaning, and may not accurately reflect the content of the provisions they precede. No agency, partnership, joint venture, or employment is created as a result of this Agreement and you do not have any authority of any kind to bind ArtSmiley in any respect whatsoever. All provisions of this Agreement that by their nature are intended to survive performance hereof by you or ArtSmiley, including, without limitation, ownership provisions, warranty disclaimers, and limitations of liability, shall survive the completion of the performance, cancellation or termination of this Agreement. These terms and any dispute or claim arising out of or in connection with them or their subject-matter (including non-contractual disputes or claims) shall be governed by and construed in accordance with the laws of the Emirate of Dubai. ArtSmiley reserves the right, in its sole discretion, to modify the Agreement at any time without notice. You shall be responsible for reviewing and becoming familiar with any such modifications. Use of the Services by you following such modification constitutes your acceptance of the terms and conditions of the Agreement as modified. You must be 18 years or older to use our Services. If you believe that a child under 18 has used our Services and provided us any information, please contact us at contactus@artsmiley.com . Where payments are to made or received via our Services, require users must be eighteen (18) years of age or older, and will be governed by the relevant terms. This Agreement is void where prohibited by law, and the right to access and use the Services is revoked in such jurisdictions. By accessing the Services, you represent and warrant to ArtSmiley that: (i) you are an individual (i.e., not a corporation) at least 18 years old; (ii) you are of legal age to form a binding contract or have your parent’s permission to do so; (ii) all registration information you submit is accurate and truthful and you will maintain the accuracy of such information; (iv) you are legally permitted to use and access the Services and take full responsibility for your access, selection and use of the Services. In the course of using the Services, you and other users may provide information which may be used by ArtSmiley and which may be visible to certain other users. By posting information, images, text, blogs, or other content on the Services (collectively, “User Content”) or otherwise providing User Content to ArtSmiley or in connection with the Services, you hereby grant to (i) ArtSmiley a non-exclusive, worldwide, royalty free, perpetual, irrevocable, sub licensable, transferable right to fully exploit (including without limitation, reformatting, cropping, resizing, displaying, modifying, creating derivative works of, and translating) such User Content (including all related intellectual property rights) in connection with ArtSmiley’s (and its successors’, licensees’ and assigns’) business, including without limitation for promoting and redistributing part or all of the Services (or any derivative works thereof) in any media formats and through any media channels, and to allow others to do so; and (ii) each user of the Services a non-exclusive license to access your User Content through the Services, and to use, modify, reproduce, distribute, prepare derivative works of, display, and perform such User Content as permitted through the functionality of the Services and under this Agreement. You acknowledge and agree that all information publicly posted or privately transmitted through the Services is the sole responsibility of the person from which such content originated and that ArtSmiley will not be liable for any errors or omissions in any such content. You understand that ArtSmiley cannot guarantee the identity of any other users with whom you may interact in the course of using the Services. Additionally, ArtSmiley cannot guarantee the authenticity of any data that users may provide about themselves. You acknowledge that all User Content accessed by you using the Services is at your own risk and you will be solely responsible for any damage or loss to any party resulting therefrom.You understand and agree that ArtSmiley uses commercially reasonable efforts to display the colors of original works of art accurately via the Services. However, because individual computer monitors may display colors differently, ArtSmiley is not responsible for the color accuracy of any works displayed on the Services, and disclaims all liability in this regard. ✪ You are solely responsible for the content that you post on or through the Services, any material or information that you transmit to other users and for any interactions with other users. Artists using the Services may endorse a political or charitable cause, and/or pledge to donate a portion of the funds they receive from confirmed bookings made via the Services to a particular cause or charity. You hereby acknowledge and agree that we do not take any responsibility or liability for whether the artist does in fact make the donation pledged. In such cases, the artist in question is responsible for his or her own compliance with all laws and regulations applicable to such pledges and/or fund-raising. The choice of any cause or charity by an artist does not reflect ArtSmiley’s policies or imply any endorsement of such cause or charity by ArtSmiley. You acknowledge that ArtSmiley does not endorse or guarantee any User Content and you may not state or imply any such endorsement or guarantee. The technology and the software underlying our Services is the exclusive property of ArtSmiley and its licensors. Subject to your compliance with this Agreement, ArtSmiley grants you a limited, non-exclusive, non-transferable, non-sublicenseable, revocable license to access and make personal and commercial use of the Services, and any software underlying our Services solely to use the Services, as provided by ArtSmiley in accordance with this Agreement. This license does not include any resale or commercial use of the Services or any Content. You shall not copy, modify, rent, lease, loan, sell, assign, distribute, reverse engineer, grant a security interest in, or otherwise transfer any right to the technology or software underlying our Services. You agree not to use modified versions of any software underlying our Service, including without limitation, for the purpose of obtaining unauthorized access to our sites or applications. You may not use any of our Services for any illegal purpose. All rights in the product names, company names, trade names, logos, service marks, trade dress, slogans, product packaging, and designs of ArtSmiley, its licensors, affiliates, or third-party products or services, whether or not appearing with a trademark symbol, belong exclusively to ArtSmiley or their respective owners, and are protected from reproduction, imitation, dilution, or confusing or misleading uses under national and international trademark and copyright laws. The use or misuse of these trademarks or any materials containing the trademarks, except as permitted herein, is expressly prohibited, and nothing stated or implied on the Services confers on you any license or right under any patent or trademark of ArtSmiley, its licensors, affiliates, or any third party. Any violation of the above may be grounds for termination of your right to access or use the Services. ArtSmiley reserves the right to take appropriate legal action, including, without limitation, referral to law enforcement, for any use that ArtSmiley deems in its sole discretion to be an illegal or unauthorized use of the Services. ArtSmiley will cooperate fully with any law enforcement officials and/or agencies in the investigation of any person(s) who violate the terms of this Agreement. You are be responsible for withholding, filing, and reporting all taxes duties and other governmental assessments associated with your activity in connection with the use of the Services. UNLESS OTHERWISE STATED EXPRESLY IN THIS AGREEMENT THE SERVICES, CONTENT, AND PRODUCTS PURCHASED OR OTHERWISE OBTAINED THROUGH THE WEBSITE, APPLICATIONS AND ANY SOFTWARE ARE PROVIDED ON AN “AS IS” AND “AS AVAILABLE” BASIS, WITHOUT WARRANTIES OF ANY KIND, EITHER EXPRESS OR IMPLIED, INCLUDING, WITHOUT LIMITATION, IMPLIED WARRANTIES OF MERCHANTABILITY, FITNESS FOR A PARTICULAR PURPOSE, ACCURACY OR COMPLETENESS OF CONTENT, NON-INFRINGEMENT, THE AVAILABILITY OR QUALITY OF ANY PRODUCTS AVAILABLE VIA THE SERVICES, OR THAT ACCESS TO OR USE OF THE SERVICES WILL BE UNINTERRUPTED OR ERROR FREE. Without limiting the generality of the foregoing, ArtSmiley makes no representations or warranties regarding the accuracy of descriptions displayed anywhere on the Services, or regarding suggestions or recommendations of services or products offered or purchased through the Services (including, without limitation, the actual size, quality, color, texture, or results of use of such products or services). ArtSmiley displays suggested retail prices for products offered on the Services based on pricing information provided by artists, and we make no promises about the reliability or accuracy of any such information listed on the Services. Products purchased (whether or not following such recommendations and suggestions) are provided “AS IS” without any warranty of any kind from ArtSmiley or others unless, with respect to others (only), otherwise made expressly and unambiguously in writing by a designated third party for a specific product. The Services may contain, or direct you to websites containing, information that some people may find offensive or inappropriate. ArtSmiley makes no representations concerning any Content contained in or accessed through the Services, and ArtSmiley will not be responsible or liable for the accuracy, copyright compliance, legality or decency of material contained in or accessed through the Services. Under no circumstances will ArtSmiley be liable in any way for any Content, including, but not limited to, any errors or omissions in any Content, or any loss or damage of any kind incurred in connection with use of or exposure to any Content posted, emailed, accessed, transmitted or otherwise made available via the Services. ArtSmiley has no special relationship with or fiduciary duty to you. You acknowledge that ArtSmiley has no control over, and no duty to take any action regarding: which users gain access to the Services; what Content you access via the Services (including, without limitation, viruses, malware, harmful code and user generated content); what effects the Content may have on you; how you may interpret or use the Content; or what actions you may take as a result of having been exposed to the Content. You may not use, export, re-export, import, or transfer the Services except as authorized by United States law, the laws of the jurisdiction in which you obtained the Services, and any other applicable laws. In particular, but without limitation, the Services may not be exported or re-exported: (a) into any United States or United Nations embargoed countries; or (b) to anyone on the U.S. Treasury Department’s list of Specially Designated Nationals or the U.S. Department of Commerce’s Denied Persons List or Entity List. By using the Services, you represent and warrant that (i) neither you nor your listed Accommodation is located in a country that is subject to a U.S. or United Nations embargo, or that has been designated by the U.S. Government as a “terrorist supporting” country and (ii) you are not listed on any U.S. Government list of prohibited or restricted parties. You also will not use the Site, Application and Services for any purpose prohibited by U.S. law, including the development, design, manufacture or production of missiles, or nuclear, chemical or biological weapons. We do not permit Listings associated with certain countries due to U.S. embargo restrictions. When you use our Services, or send emails to us, you are communicating with us electronically. You agree that we may communicate with you electronically. Such electronic communications may consist of e-mail, notices posted on our Services, “push” mobile notification, and other communications. You agree that all agreements, notices, disclosures, and other communications we send to you electronically will satisfy any requirement that such communication be in writing and, to the extent intended, such communication will be an enforceable and binding term or amendment to this Agreement. You agree to indemnify and hold ArtSmiley, its parents, subsidiaries, affiliates, officers and employees, harmless from any claim or demand (including, without limitation, from all damages, liabilities, settlements, costs and attorneys’ fees) made by any third party due to or arising out of your access to the Services, use of the Services, the violation of this Agreement by you, or the infringement by you, or any third party using your account, of any intellectual property or other right of any person or entity. All fees are stated in US$ and all payments to and from ArtSmiley will be made in US$. ArtSmiley may, in its sole discretion, round up or round down amounts that are payable from or to artists to the nearest whole functional base unit to the nearest US dollar; for example, ArtSmiley will round up an amount of $101.50 to $102.00, and round down an amount of $101.49 to $101.00. ArtSmiley assumes no responsibility or liability for any currency fluctuation or inaccuracy of currency rates. All prices, commissions, fees and other amounts referred to in these Terms, including any prices, commissions and fees set forth on the Services, are stated in U.S. dollars and do not include any sales, use, value added (“VAT”), goods and services (“GST”) or similar taxes or withholding taxes or any customs, duties or tariffs that may be assessed by any governmental tax authority or that are otherwise payable under applicable law with respect to the purchase, sale and licensing transactions contemplated hereunder. Your interactions with organizations and/or individuals found on or through the Services (including without limitation any artists), including payment and delivery of goods, and any other terms, conditions, warranties or representations associated with such dealings, are solely between you and such individuals. You should make whatever investigation you feel necessary or appropriate before proceeding with any online or offline transaction or personal interaction with any of these third parties. You agree that ArtSmiley shall not be responsible or liable for any loss or damage of any sort incurred as the result of any such dealings. If there is a dispute between participants on this site, or between users and any third party, you understand and agree that ArtSmiley is under no obligation to become involved. These terms and any dispute or claim arising out of or in connection with them or their subject-matter (including non-contractual disputes or claims) shall be governed by and construed in accordance with the laws of UAE. You irrevocably agree to submit to the exclusive jurisdiction of the courts of the Dubai International Financial Centre in relation to all matters arising out of or in connection with these terms, or their subject matter or formation (including non-contractual disputes or claims). ArtSmiley has adopted the following general policy toward copyright infringement in accordance with the Digital Millennium Copyright Act (“DMCA”) (posted at www.lcweb.loc.gov/copyright/legislation/dmca.pdf). The address of ArtSmiley’s Designated Agent to Receive Notification of Claimed Infringement (“Designated Agent”) is listed at the end of this Section. It is ArtSmiley’s policy to (1) block access to or remove material that it believes in good faith to be copyrighted material that has been illegally copied and distributed by any of our advertisers, affiliates, content providers, members or users; (2) notify the content provider, member or user that it has removed or disabled access to the material; and (3) remove and discontinue access by and service to repeat offenders. Content provider’s, member’s or user’s name, address, telephone number, and, if available, email address and a statement that such person or entity consents to the jurisdiction of the Federal Court for the judicial district in which the content provider’s, member’s or user’s address is located, or if the content provider’s, member’s or user’s address is located outside the United States, for any judicial district in which ArtSmiley is located, and that such person or entity will accept service of process from the person who provided notification of the alleged infringement. If a counter-notice is received by the Designated Agent, ArtSmiley may send a copy of the counter-notice to the original complaining party informing that person that ArtSmiley may replace the removed material or cease disabling it in 10 business days. Unless the copyright owner files an action seeking a court order against the content provider, member or user, the removed material may be replaced or access to it restored in 10 to 14 business days or more after receipt of the counter-notice, at ArtSmiley’s discretion. Please contact ArtSmiley’s Designated Agent to Receive Notification of Claimed Infringement at the following address: DSO-THUB2-DTEC-2-FXD-G-030,Dubai Silicon Oasis, Dubai UAE. If you have any questions or notices of violation of this Agreement, please contact the editor of the website or service in question, or send an email to contactus@artsmiley.com . WHAT INFORMATION DOES ARTSMILEY COLLECT? When You Register for the Services: We receive and store any information you provide to us when registering with the Services such as your name, username, password, country of location, zip code, postal mail address and email address. Some of the Services may collect your photo, “about” information you provide, links to your social media accounts and certain other profile information. When You Visit Our Websites or Use the Services: Even if you do not register with us, whenever you interact with the Services, we may collect the following: IP address, language setting, operating system type, the page you requested, an Identifier for advertising if you are using an iOS device or an Android ID if you are using an Android device, user agent, and time stamp. 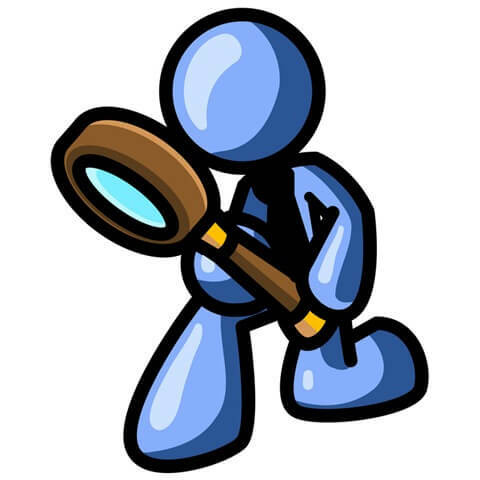 We collect information about your search and click activity on the Services, or your user generated content or activity related to your use of certain Services (for example, information that you upload). When You Provide Third Party Account Information: If you provide or connect your third-party account credentials to your account, some content and/or information in those accounts may be transmitted into your account with us. For example, when you connect with Facebook, we receive and collect your name, email address and profile photo. When You Enter a Sweepstake, Contest or Giveaway: We collect information you provide to us if you enter a sweepstake, contest or giveaway. We may collect and share such information you provide with an advertiser who sponsors such event or a service provider may collect your information in connection with such promotional event on our behalf. HOW DOES ARTSMILEY USE YOUR INFORMATION? HOW DOES ARTSMILEY SHARE YOUR INFORMATION? Advertisers: We allow advertisers, advertising agencies, ad networks, and/or merchant partners and their affiliates and partners to collect information on the Services for the purposes of serving you with advertising tailored to your interest or demographics and analyzing the performance of advertising campaigns. Third Party Websites: Businesses or third party websites may sell items or provide services to you through the Services (either alone or jointly with us) and we will share your information with that business only to the extent that it is related to such transaction or service. Agents: We employ other third party vendors, consultants and other service providers who need access to your information to perform work on our behalf. Business Transfers: We may share your information in connection with, or during negotiations of, any merger, sale of company assets, financing or acquisition, or in any other situation where personal information may be disclosed or transferred as one of our business assets. Protection of ArtSmiley and Others: We may access, read, preserve, and disclose any information that we reasonably believe is necessary to comply with law or court order; or protect the rights, property, or safety of ArtSmiley, our employees, our users, or others. This includes exchanging information with other companies and organizations for fraud protection and credit risk reduction. User Profiles and Submissions: Certain user profile information such as a user’s name or image content that you have uploaded to the Services may be displayed to other users to facilitate user interaction within the Services or address request for Services. With Your Consent: We may share your information in other circumstances with your consent, for example when you have chosen to link an account with the Services with a social media network like Facebook. Compliance: ArtSmiley will comply with data protections laws and regulations of the Emirate of Dubai, United Arab Emirates, that are in force at any given time. HOW MAY ARTSMILEY COMMUNICATE WITH ME? “Cookies” are small data file identifiers that are transferred to your computer or mobile web browser that allow us to recognize your browser or mobile device and transfer information about you and your use of the Services. For example, cookies that we use tell us how many times you have visited the Services, your search preferences, and if you have clicked on an advertisement that has been displayed to you. We use “persistent” cookies to save your login information for future logins to the Services. We also use “session ID” cookies to enable certain features of the Services, to better understand how you interact with the Services and to monitor aggregate usage by users and web traffic routing on the Services. Unlike persistent cookies, session ID cookies are deleted from your computer when you log off from the Services and close your browser. We, and third parties with whom we partner, may also deliver a file known as a web beacon, pixel or pixel tag (“Web Beacons”) to you through the Services from an ad network. Web Beacons are small, invisible graphic images that may be used on the Services interface or in emails relating to the Service to collect certain information and monitor user activity on the Service interface, such as to count visits, understand usage effectiveness and to determine if an email has been opened and acted upon. Web Beacons allow ad networks and service providers that we use to provide anonymized, aggregated auditing, research and reporting for us, for advertisers and our other partners. Web Beacons also enable ad networks to serve targeted advertisements to you when you visit other websites. Because your web browser must request these advertisements and Web Beacons from the ad network’s servers, these companies can view, edit, or set their own cookies, just as if you had requested a web page from their site. HOW DOES ARTSMILEY USE SOCIAL PLUGINS? HOW DOES ARTSMILEY USE THIRD-PARTY ONLINE ADVERTISING OR ANALYTICS? ✪ Change Your Account Settings: You may add or update information, or change your account privacy settings which limits the other users who can see the information in your user profile and/or what information in your user profile is visible to others. The information you can view, update, or delete may change as the Services change. ✪ Cookies: You can usually instruct your browser, by changing its settings, to stop accepting cookies or to prompt you before accepting a cookie from our websites that you visit. If you do not accept cookies, you may not be able to use all portions of the Services or all functionality of the Services. ✪ Email or Postal Mail: If you do not want to receive email or other mail from us, please indicate your preference by changing your account settings, contacting us through our website https://artsmiley.com/contact-us/ or by clicking the “unsubscribe” link in an email we send to you. ✪ Deactivating Your Account: You can always choose not to disclose information to us or delete information, but keep in mind some information may be needed to register with us or to take advantage of some of our special features. You may request deactivation of your account by contacting us through our website https://artsmiley.com/contact-us/ if you are the manager of the account, or where you are an employee, you must contact the manager of the account who can contact us to deactivate your account. ✪ De-Linking Account: You may de-link your account from an account on another service such as a social media account in your account setting. However, in order to de-link it completely, you may also have to adjust your account settings with the third party application. For example, if you want to de-link your Facebook account with ArtSmiley, you must de-link your accounts in both your account settings and in your Facebook application settings. We use commercially reasonable safeguards to preserve the integrity and security of information collected and maintained through the Services. However, we cannot ensure or warrant the security of any information you provide to us or guarantee that information on the Service may not be accessed, disclosed, altered, or destroyed by unauthorized persons or hardware or software failure. We currently do not participate in any “Do Not Track” frameworks that would allow us to respond to signals or other mechanisms from you regarding the collection of your information. We may engage third parties, such as marketing or analytics partners, who may collect information about your online activities over time and across different websites when you use the Services. The Services are not directed to children under 18. We do not knowingly collect or solicit personally identifiable information from anyone under the age of 18. If you are under 18, please do not attempt to register for the Services or send any information about yourself to us. If a parent or guardian becomes aware of his or her child has provided us with personal information without their consent, please contact us through our website https://artsmiley.com/contact-us/. Your information may be transferred to and maintained on computers located outside of your state, province, country or other governmental jurisdiction where the privacy laws may not be as protective as those in your jurisdiction. By submitting such information, you consent to that transfer. If you have any questions or concerns regarding our privacy policies, please send us a detailed message through our website https://artsmiley.com/contact-us/.